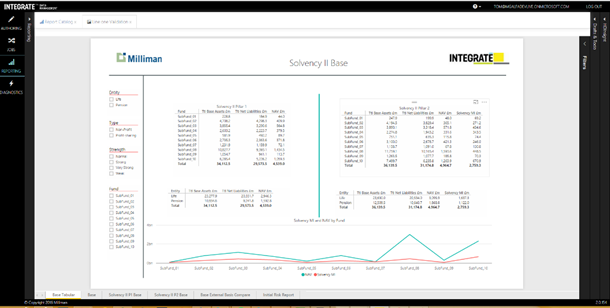 Saptarshi: Can you tell us more about Milliman and your market-leading cloud solution, Integrate™? Paul: Milliman is among the world’s largest actuarial and consulting firms, with offices in major cities around the globe. The Life Technology Solutions practice provides products and services to the actuarial community. Powered by the Microsoft Azure Cloud, Integrate is the first solution to effectively tear down silos and replace old tools and protocols with a state-of-the-art platform that improves financial and risk management, maximizes operational efficiency, and enables strategic allocation of human capital. Insurance companies can now access unlimited computing resources with Microsoft Azure to perform compute-intensive, mission-critical work. Saptarshi: How are you using Power BI Embedded in Integrate? Paul: Power BI Embedded enables Integrate users to quickly create and share data through interactive dashboards and reports, all in the cloud. 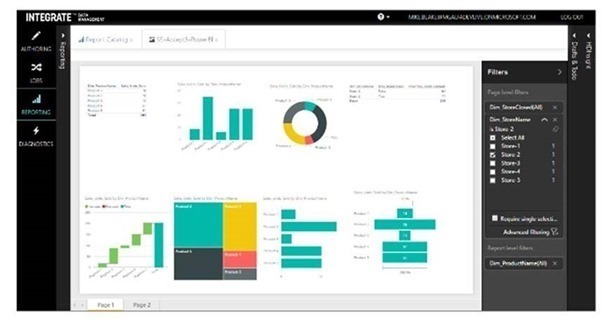 Power BI Embedded provides a rich immersive experience that allows Integrate users to visualize and analyze data in one place, simply and intuitively. Using Power BI Embedded, Integrate delivers a scalable and cost-effective solution that meets the ever-growing BI demands of users. The ability to embed Power BI in Integrate was key to ensuring that the end-user experience was seamless for all dynamic BI requirements. Saptarshi: Why did you choose Power BI Embedded? Saptarshi: Data security is obviously very important in your industry and at your company. Can you tell us more about the security details implemented in Integrate? Paul: All access to Integrate by our customers, end-users, and by our Milliman team, is governed through industry-standard security processes. These include customer-managed authentication through SAML 2.0+ and ADFS 2.0+ single sign-on, and role-based access control. With the establishment of single sign-on, all authentication and role assignment responsibilities are given to our customers, allowing them full control over assigning and configuring access for their personnel. The role-based access control allows customers to craft custom roles based on their needs, using a robust set of granular permissions. This ensures that each user is only allowed to perform the specific role they have been assigned, and controls what data they have access to. The app-token based authentication and row-level security in Power BI Embedded allowed us to continue using our existing security methods and make it transparent for the end-users. Saptarshi: What are your customers saying? The ability to secure data in a multi-tenant application using Power BI Embedded, with row-level security. Users can create one set of reports and datasets, and then use them with multiple users and customers. Each customer can view the same reports, but only see the data that they are allowed to see. The simple billing model, which uses report sessions, has been well received by end users. Integrate provides business insights and real-time information to help decision makers react quickly to known and unknown risks, and to help them make decisions to protect their company. Saptarshi: Those are all great insights on Integrate and Power BI Embedded. Thank you, Paul, for taking the time to talk with us. It’s been great to hear how Milliman has been able to fully leverage Power BI Embedded. We look forward to staying in touch with the work you’re doing. For more information about Milliman, please visit their website, or learn more about Integrate. Learn more about Power BI Embedded, or get started now.